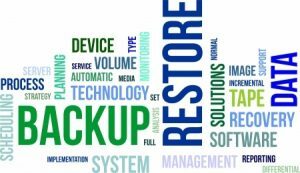 Jicho offer a Backup and Recovery Management service that provides for all systems data to be backed up according to your organization’s policies. We have certified Backup Engineers that can support various enterprise backup solutions. We can provide a subscription to backup software and licenses. Higher Reliability – Perhaps the biggest benefit of regular remote data backup is its great reliability. 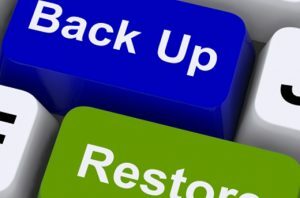 Remote backup can be automated and updated on a daily basis, or you can even back up your data at a set time. Plus, since this is done via the Internet, you will always be able to recover any files you need quickly. Easy Set-Up – Backing up your data may sound like a daunting task, but when you do it remotely, it’s as easy as a few clicks! Just have an IT professional set up the system and the schedule or automation, and you can rest easily knowing that your data is protected, backed up, and up-to-date. Reduced Workload – Manual backing up files can be very time-consuming and always requires at least one person to do the job. Since remote data backup involves automation, you won’t need to worry about taking the time to back it up with a CD or a USB drive, and you’ll always know where the backups are. This will help you save quite a bit of time and frustration. Greater Security – When you employ remote data backup, you store your data in a secure location, making it physically safe. This is typically done via advanced encryption tools that are used at both the hardware and software level. 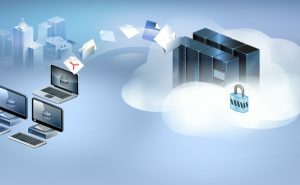 You will never have to worry about others locating and compromising your data with remote data backup. Saves Money – Think about all of the equipment you need when you manually back up your data. You’ll need a lot of physical storage solutions for your computers, and if you have many computers with large amounts of data, that can be a costly and burdensome solution. If your company operates in an industry in which backups are mandatory, remote backup will be a cost-effective solution for your business.